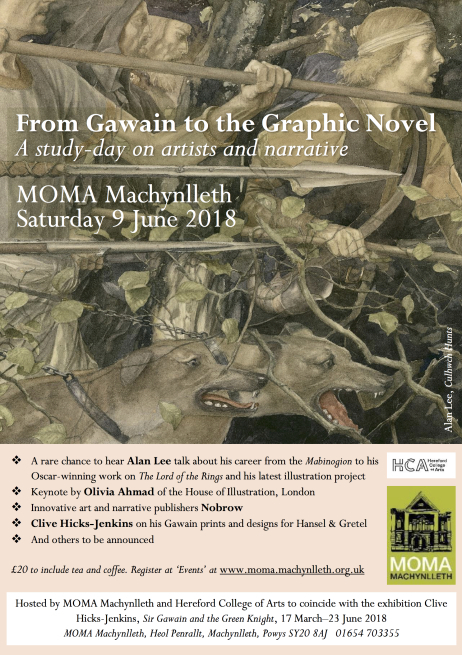 From Gawain to the Graphic Novel: A study-day on artists and narrative on the mid Wales coast in June 2018, with accompanying art exhibition. 1. There was what looks like a very superficial ‘superhero’-like appearance of a stock medieval Green Knight character in Eco Comics’s The Green Man #1 (2013). But the title never seems to have gone beyond issue #1. 2. There was also a well-made cartoony German-language adaptation Sir Gawain und der Grüne Ritter (2016). 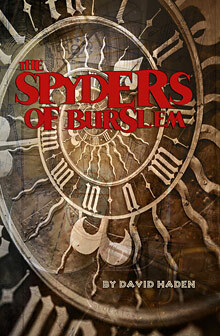 But reviews talk of its approach being “tongue-in-cheek” and “jokey”. That may well be the most suitable approach for interesting children in the tale, but as far as I can see it hasn’t yet been translated into English. And, being in German, the jokes may not translate — because the German sense-of-humour is notoriously difficult to get working in English.